This is the follow up to the Lotus Elise-based Roadster. It is a four seater luxury saloon that is intended to take Tesla closer to the mainstream car market using an improved version of the drivetrain used in the Tesla Roadster. The lithium-ion batteries are said to give a range of 300 miles and a 0-60 mph time of just six seconds. The range is claimed to be around 300 miles and the price is predicted to be just $57,000 (£39,000). 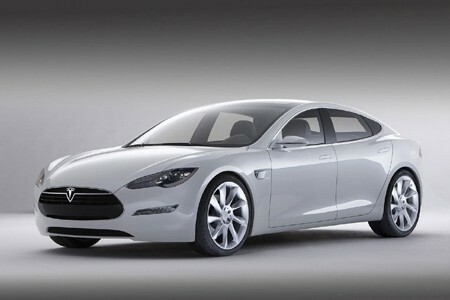 Apart from the clever technology , the Model S is also astonishingly good looking. Normally brand-new car companies (especially ones making electric cars) have designs that look a bit amateurish compared to the big boys, but that is emphatically not the case here. The Model S is easily better looking than, say, an S-Class or a 7 Series, thanks to styling by Franz von Halzhausen, a former senior Mazda designer.